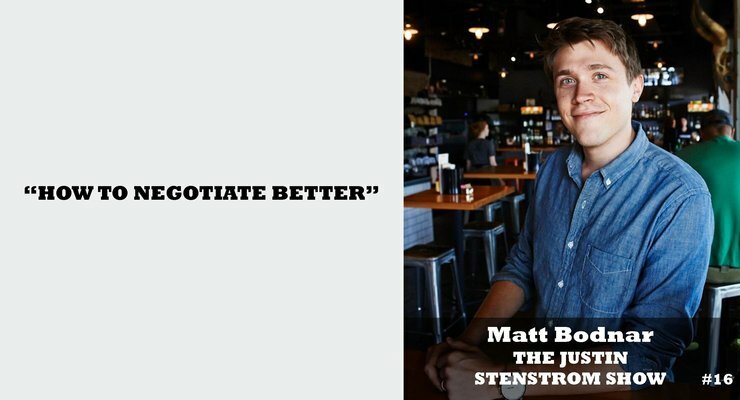 Matt Bodnar, entrepreneur, investor, and the creator of Science of Success, joins our show in this special episode of The Justin Stenstrom Show. Matt talks about the art of making a deal and how to make deals where everyone comes out happy. He shares with us his experience with investing in many businesses and the deals and negotiations that it took to make things happen. If you’re wondering how to get better at making great deals and how you can successfully negotiate regularly, check this episode out now!